Robert C. Brady | Professionals | Gibbons P.C. 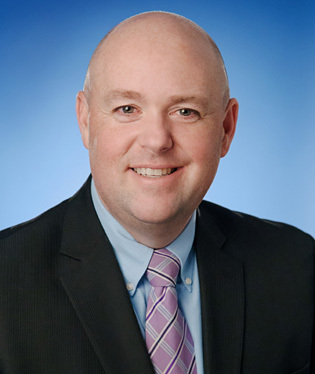 Mr. Brady, an experienced trial lawyer and appellate practitioner, is the current Chair of the New Jersey State Bar Association’s Franchise Practices Committee. He is a thoughtful appellate advocate and a down-in-the-trenches litigator who prides himself on his written work product and oral advocacy skills before both federal and state trial courts and appellate panels. Mr. Brady has a particular emphasis representing large franchisors and licensors in commercial disputes, trademark litigation, and enforcement of franchise and license agreement obligations. Additionally, he has extensive experience in litigation involving covenants not to compete and confidentiality provisions. He often litigates matters involving partnership and shareholder disputes, including oppression and dissenter’s rights cases. defending the City of Newark in constitutional challenge to municipal ordinances enacted pursuant to the New Jersey Economic Stimulus Act. Mr. Brady is a Master in the John C. Lifland American Inn of Court. He serves as an adjunct professor of law at Seton Hall University School of Law, where he teaches appellate advocacy. Mr. Brady regularly speaks at continuing legal education seminars on issues related to franchise law and civil procedure and is the Vice President of Governance of the University of Massachusetts Alumni Association. Mr. Brady advises franchisors on disputes ranging from termination and restrictive covenant litigation, termination and non-renewal disputes, transfer and succession issues, enforcement of system standards, and vicarious liability issues. Additionally, he regularly assists in counseling companies on the initial decision to franchise, helping them to navigate the myriad state and federal registration and disclosure laws. Thereafter his services range from drafting franchise agreements and disclosure documents to developing internal policies and best practices for managing a franchise and distribution system; from negotiating with suppliers, distributors, and other third parties to litigating and arbitrating when necessary to enforce contracts with franchisees, area developers, and others; and to defeat antitrust, Racketeer Influenced and Corrupt Organizations Act (RICO), and other high stakes claims. Mr. Brady has significant experience both enforcing and challenging restrictive covenants, including non-compete, non-solicit, and confidentiality/non-disclosure covenants, as well as other trade secret and unfair competition related disputes. He ably generates effective court papers quickly to support or oppose emergency applications for injunctive relief and, if necessary, to file emergent appeals. Mr. Brady is equally experienced following these matters through to conclusion, often through negotiations after the immediate situation is brought under control by emergency court proceedings. Mr. Brady regularly represents both oppressed minority shareholders, as well as majority shareholders accused of oppression. In these tense cases that often involve closely held family businesses, he balances zealous advocacy with the sensitivity necessary to resolve emotionally charged disputes between family members and/or former friends. Mr. Brady draws on his experience as a former law clerk to the then Presiding Judge of the Appellate Division and as an Adjunct Professor of Appellate Advocacy in support of his appellate practice. Mr. Brady has argued appeals in the New Jersey state court system and various federal circuit courts throughout the Northeast. Recently, Mr. Brady was responsible for briefings before the Superior Court of New Jersey Appellate Division and the Supreme Court of New Jersey, which successfully defended Newark City ordinances that were challenged by various taxpayers for violating the commerce clause of the United States and New Jersey Constitutions. In this matter, Mr. Brady was part of a team that represented a number of electric utilities and power generators in a challenge to New Jersey’s Long Term Capacity Agreement Pilot Program, on the basis of field preemption, conflict preemption, and violation of the dormant commerce clause. He was a part of the trial team for a 13-day trial that was completed before the Honorable Peter G. Sheridan, U.S.D.J. Mr. Brady also played an important role in the discovery process and pre-trial and post-trial briefings. Mr. Brady represented AAMCO Transmissions, Inc. in this matter wherein the plaintiff, a former employee of a AAMCO Franchisee, alleged: (1) failure to pay for overtime, in violation of the New Jersey Wage and Hour Law; (2) interference with military service, in violation of the Uniformed Service Employment and Reemployment Rights Act of 1994; (3) unlawful retaliation for his “whistle blowing” activities, in violation of the New Jersey Conscientious Employee Protection Act; (4) misappropriation of certain amounts that had been withheld from his paycheck for income tax purposes; and (5) intentionally inflicting emotional distress. Mr. Brady was substituted in as counsel at the close of fact discovery and successfully defeated the plaintiff’s motion for summary judgment and obtained summary judgment dismissing all claims against AAMCO. Mr. Brady also represented AAMCO Transmissions, Inc. in this matter wherein the plaintiff commenced litigation by way of order to show cause in the Superior Court, Chancery Division, Middlesex County, seeking injunctive relief related to the alleged improper termination of a franchise agreement that had allowed him to operate an AAMCO Transmission Center in Perth Amboy, New Jersey. Mr. Brady removed the case to the United States District Court for the District of New Jersey. Although the plaintiff was the party originally seeking injunctive relief, Mr. Brady successfully defeated that application, filed counterclaims for declaratory relief, and obtained a preliminary injunction requiring the plaintiff to de-identify the former location and to cease operating any transmission business at the location and the surrounding area. Thereafter, Mr. Brady obtained an order awarding AAMCO monetary sanctions for the plaintiff’s violation of the preliminary injunction, dismissal of all of the plaintiff’s affirmative claims, and judgment in favor of AAMCO. In this matter, Mr. Brady was part of the team that represented McLane Foodservice, Inc., a national food service distributor, seeking damages, inter alia, for breach of contract, breach of warranty, and indemnification against Ready Pac Produce, Inc., a supplier of fresh-cut produce to food service organizations, arising out of the alleged presence of produce contaminated with the Escherichia coli (“E. coli”) bacteria in the Taco Bell supply chain and in certain Taco Bell restaurants’ meals served to patrons in November and December 2006. Mr. Brady took a significant role in preparing and executing the strategy for this case. He prepared and argued various preliminary jurisdictional motions and, thereafter, spearheaded a complex, multi-jurisdictional discovery schedule that included the review and production of more than 500,000 pages of ESI discovery and more than 20 depositions in various locales across the country. Ultimately, the team secured a favorable settlement for McLane that resolved not only this matter, but related matters pending in Middlesex County. Mr. Brady was part of the team that represented the City of Newark, City Council of the City of Newark, Mayor of the City of Newark, and Director of Finance of the City of Newark (“Newark”) in this matter wherein the plaintiffs, various rental car agencies located at Newark Airport, alleged violations of the Commerce Clause of the United States Constitution, the Federal Anti-Head Tax Act (AHTA), and various related causes of action to invalidate a Newark city ordinance that was enacted pursuant to the New Jersey Economic Stimulus Act (NJESA), N.J.S.A. 40:48H-1, et seq., to collect a tax on automobile rentals in certain industrial zones in the city, which results in an estimated $8.1 million per year in revenue for the City. Mr. Brady coordinated the briefing of Newark’s successful motion for summary judgment and opposition to the plaintiff’s appeal in the Superior Court, Appellate Division. Additionally, he argued portions of Newark’s motion for summary judgment and led the efforts to prepare opposition to the plaintiffs’ petition for certification to the New Jersey Supreme Court.